Whatever problems Tony DeFrancesco and his Seton Hall team came out on top in this February 1982 game, according to The Miami News. Those problems included an active Miami home crowd that did their best to interfere, The News wrote. "We had a lot of trouble communicating," DeFrancesco told The News. "The people were yelling so loud that I couldn't hear myself think. I'm not complaining about them, though. It's just part of the game." DeFrancesco has ended up be involved in a lot of games. He's also had to showcase his communication skills. DeFrancesco has gone on to a professional playing and coaching career that has spanned more than three decades. He's spent parts of two of those seasons in the majors, including time as a major league manager. DeFrancesco's career began in 1984, taken by the Red Sox in the ninth round of the draft out of Seton Hall. DeFrancesco started at short-season Elmira. He made AAA Pawtucket briefly in 1986, then spent 1987 at AA New Britain. He moved to the Reds system for 1988, playing at three levels that year. He continued playing into 1992. Overall, he played in four seasons at AAA. He never made the majors as a player. Soon after his playing days, DeFrancesco started his coaching career. He spent 1993 as hitting coach at short-season Southern Oregon with the Athletics. He was back with Southern Oregon in 1995, this time as manager. In one August game, DeFrancesco's team got the win and showed some life. "Pitching has been keeping us in games," DeFrancesco told The Eugene Register-Guard. "Finally, we got a couple of key hits. Hopefully, that's a good sign." 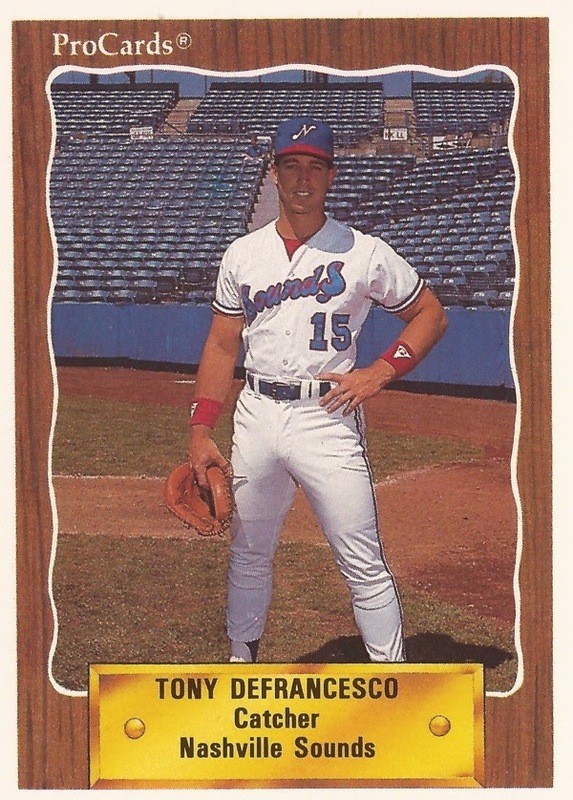 DeFrancesco moved up to manage AA Midland in 1999, then AAA Sacramento in 2003. In 2008, he first made the majors as third base coach for Oakland. DeFrancesco arrived in the Astros system in 2011. In August 2012, DeFrancesco moved up to Houston as interim skipper after the club fired its manager. He finished out the year in that role. "I've been doing it my whole life," DeFrancesco told The Houston Chronicle in spring 2013. "The opportunity I got here in Houston was amazing last year. And I told (general manager) Jeff (Luhnow) right from the beginning, whatever you want me to do, I'm here for you." DeFrancesco has since returned to the minors. For 2015, he's serving as manager with the Astros at AAA Fresno. I saw him managed in Double-A Midland before moving up to Sacramento in person. This fan was super happy when he finally got that call to manage big leagues. After all the years of coaching and minor league managing he deserved it. All I can say is well done.